When it comes to massage, there are many different types of massages available; however, when it comes to relaxation there is no massage style that can top a four hand massage. Also known as “Purva karma,” the goal of a four hand massage is to send you into a deeper state of relaxation and for that reason it is gaining popularity as the go-to massage for relaxing. At every age, there are daily stressors that can take a toll on your mind and body. One of the best ways to reduce stress is through massage and splurging on a 4 hand massage will give you double the relaxation. 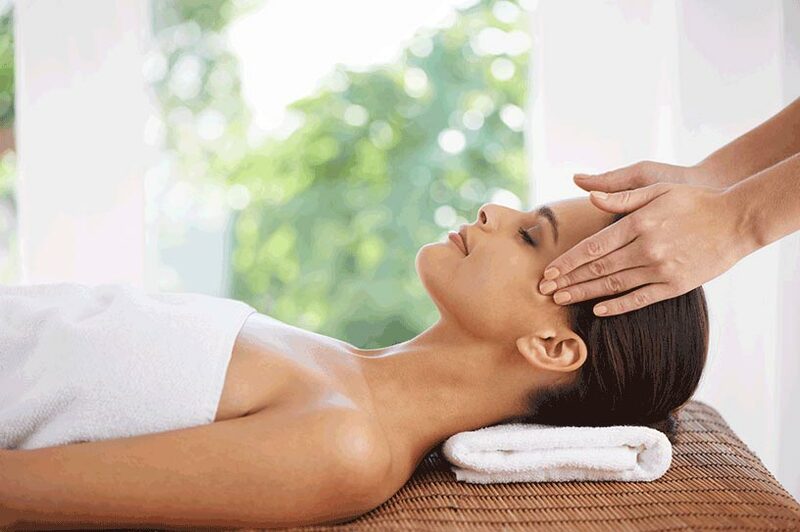 “Think of it as a normal full-body massage times two,” says Jill Haidler, director of The Waldorf Astoria Spa New Orleans. A four hand massage is the practice of two masseuses working together on a single massage client. It doubles the pleasure of a traditional Swedish massage. Together the two masseuses get to work relieving your kinks, knots and stresses with simultaneous, mirrored movements. During a typical 4 hand massage, the massage therapists use relaxing, slow movements along with harder, warmer and deeper movmeents to target specific areas around the body. It is really an incredible experience and offers superior benefits to other massage types. What are the Benefits of a Four Hand Massage? Four hand massage has a relaxing power that trumps other massage styles as your massage therapists can stretch and relax muscles in ways that a single massage therapist cannot do alone. Having four hands working on your body instead of two promotes a deeper relaxation response from the body as it is difficult for your mind to keep track of all the stimuli so it is much easier to relax and even fall asleep. To achieve further relaxation during your massage, try an Asian massage table shower. While you lie on the massage table, jets of water cascade down your body for a hands-free massage experience. The water pressure adjusts accordingly to stimulate blood circulation and the lymph system, improving immune and metabolic elimination functions, in addition to soothing sore muscles. The table shower can be a sole spa treatment, or it can be added to the end of another treatment such as four hand massage. Often, it is used at the end of a body wrap or scrub to rinse away products in a soothing manner. Skilled masseuses familiar with four hand massage not only mirror one another’s hand movements, but also exert an equal amount of pressure on each side in order to produce a balanced, relaxing experience. Additionally, during this type of massage it is easier to get tight muscles worked on as you can have one masseuse working with deep tissue massage strokes while the other masseuse sticks to more relaxing strokes such as those used with Swedish massages to keep your mind distracted from the deeper tissue strokes. The inclusion of more hands with your massage adds to the positive effects of the massage and means that the brain is unable to follow the movements of both hands. Very quickly your brain realizes it’s not sure who is doing what, and gives up control. As a result, this type of massage engages both hemisphers of the brain encouraging more relaxation. This is a powerful treatment for anyone who has a hard time letting go during treatments. When both sides of your body are being massaged at the same time, your brain often has a difficult time choosing a movement to focus on. Due to this confusion, your brain ultimately surrenders to concentration and allows you to fully relax during the massage. Because you are essentially getting twice the massage in a single session, you will also be able to see better results when it comes to improved blood circulation, stress reduction, increased muscle tension relief, improved mood, and anxiety relief. Another benefit of a 4 hand massage is the ability to have more of your body massaged and massaged for a longer duration when you have 2 masseuses working on you compared to one. West Garden Spa in New York City is the premier Asian massage destination of luxury-seekers. We can provide you with any relaxing spa treatment you desire, including four hand massage and table showers. To schedule your Asian four hand massage experience today call 212.244.7711.